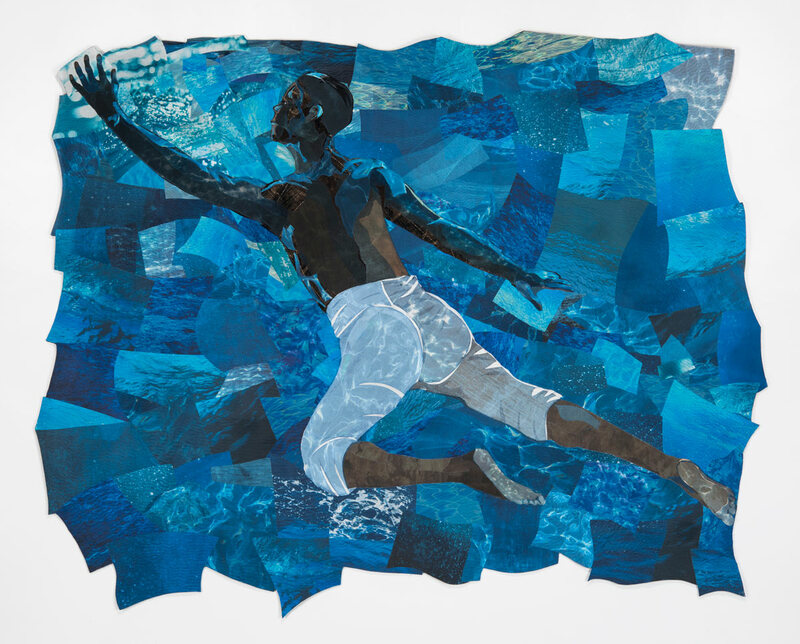 Visions Art Museum asked six quilt artists to present work that featured the human figure in motion. 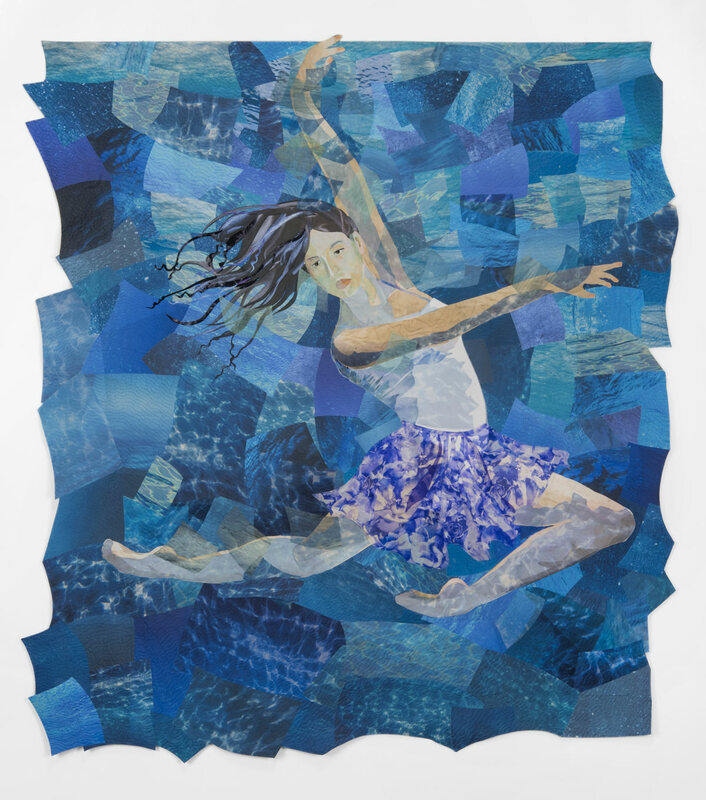 I chose to create four new works that are part of my series "Undercurrents" -- poetic underwater ballets rendered in vivid silk fabrics. 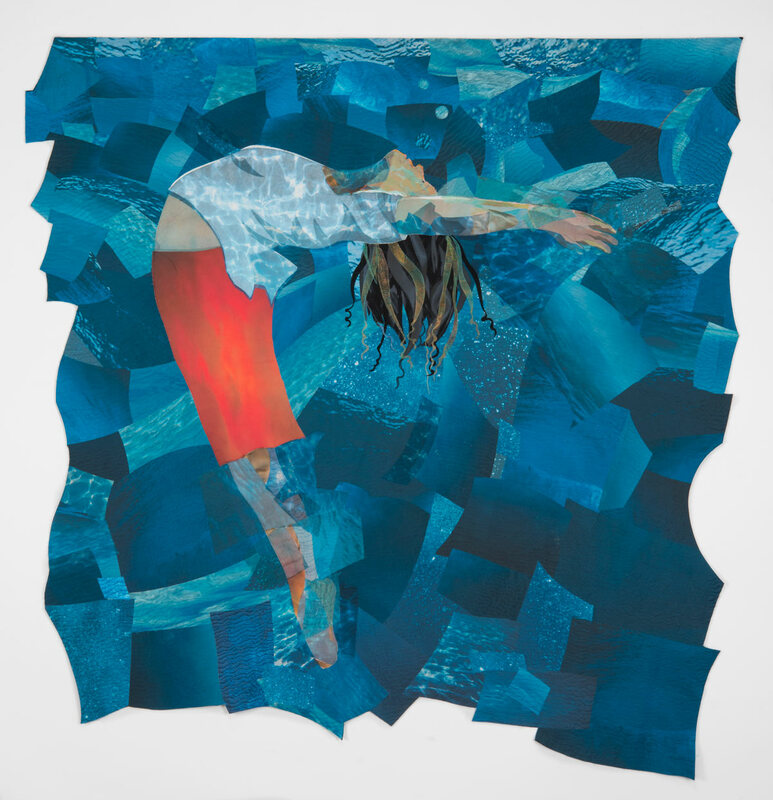 Lori Lupe Pelish, Susan Polansky and Joan Sowada. In my dreams I fly with the grace and poise of Giselle. 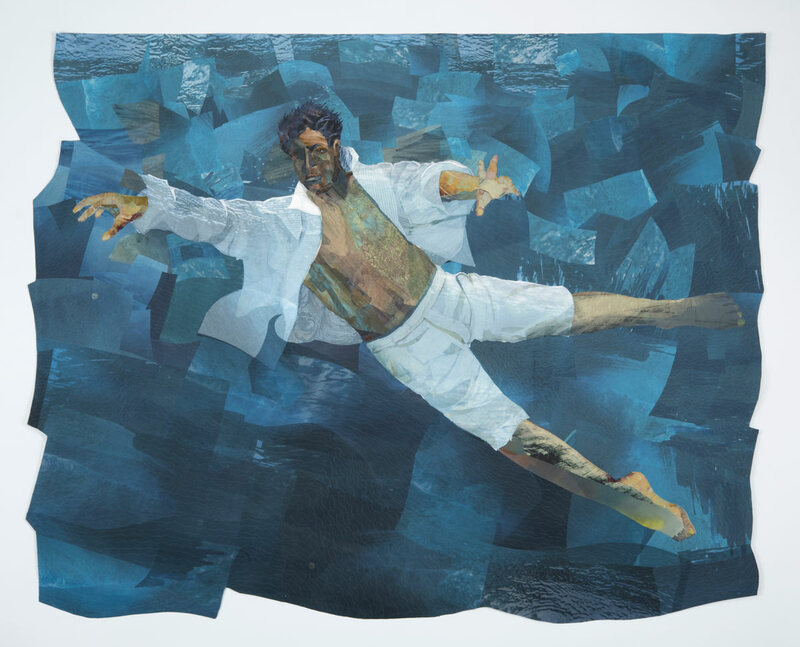 This is the third in a series of underwater ballets. It is said of the Firebird of classical dance that she would show her brilliant plumage only to those who love beauty and seek to make beauty. It is a given that the human heart is never constant. Acceptance is never complete. The prize is always just beyond the outstretched reach. “I’ll worship like a dog at the shrine of your lies.